← How Did JPMorgan Reverse an Arrest Warrant for its Mexico Bank Chief? 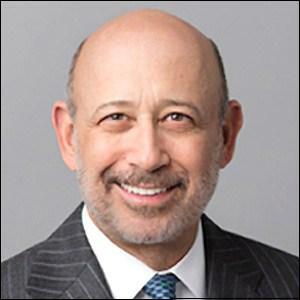 The Goldman deal was coming from “Marcus,” which a footnote informed us “is a product of Goldman Sachs Bank USA,” a bank being backstopped with Federal deposit insurance, which is, in turn, backstopped ultimately by the U.S. taxpayer. To summarize, a bank that received a cumulative total of $814 billion in bailout funds during a financial crash it helped to create, with much of that amount consisting of secret loans from the Fed at an interest rate close to zero, wants to charge interest rates as high as 25 percent to Americans, many of whom are still struggling to recover from the greatest economic downturn since the 1930s. 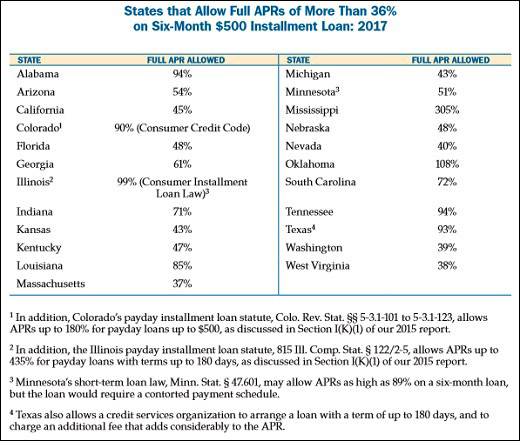 We decided to find out what ever happened to state usury laws that capped the amount of interest that banks and other types of lenders could charge to consumers. What we found wasn’t pretty. America has traveled from an age of enlightenment on usury to the Dark Ages. In the early 18th Century, the American colonies set an interest rate cap on loans at 8 percent. In the late 18th Century, most states adopted a 6 percent cap on interest rates on loans. The early 1900s saw a rise in the power of Wall Street banks in Washington: 11 states eliminated their usury laws completely while others raised the cap to 10 to 12 percent interest. Between the 1940s and late ‘70s, the caps exploded across the United States, with many states allowing interest rates as high as 36 percent. Things have gotten dramatically worse since that time. The Wall Street banking cartel – where a handful of banking behemoths now control the majority of savings deposits, and mortgages, and credit cards in the United States – also effectively control through lobbyists the usury legislation at the Federal and State levels. It should come as no surprise to anyone that concurrent with the unconscionable rise in the amount of interest that lenders can charge on loans has also come an unprecedented rise in wealth and income inequality in the United States. Last year Fortune ran this headline: The Wealth Gap in the U.S. Is Worse Than In Russia or Iran and then backed it up with academic data. Also last year the World Economic Forum found that the United States ranks 23 out of 30 among developed countries in an index that factors in data on income, health, poverty and sustainability. Last August, the National Consumer Law Center updated its 2015 report that analyzed usury statutes in all 50 states and the District of Columbia. Some of the findings will (like the current Trump policy to rip immigrant children from their parents) suggest to you that those in positions of power across the United States have lost their soul. The “Terrible Two” should actually be called the “Unconscionable Monsters,” and a new category instituted that is called the “Banking Whore States.” Using the National Consumer Law Center’s graph below for what various states allow to be charged on a $500 six-month loan with all fees and interest included, we’d put the following states in this category: Oklahoma, 108 percent; Illinois, 99 percent; Alabama and Tennessee 94 percent; Texas 93 percent; and numerous others that range from 60 to 90 percent. The political revolution that presidential candidate Senator Bernie Sanders called for in 2016 needs to happen very soon or America may be unable to ever find its way back.